Summary: Former U.S. Poet Laureate tells the story of his life in a poem inviting readers to imagine his past and their own futures. Starting off as a little boy who loved nature (“If I picked chamomile flowers as a child/in the windy fields and whispered/to their fuzzy faces,/imagine”), he shows his life as a child of migrant farm workers, having to repeatedly leave his home and friends, and going to school not knowing any English. He loved his new language, using it to write poetry, then learning music so he could turn his poems into songs. Each sentence ends with the word “imagine”. He concludes: “If I stood up/wearing a robe/in front of my familia and many more/on the high steps/of the Library of Congress/in Washington, D.C., and/read out loud and signed/my poetry book/like this–/Poet Laureate of the United States of America/Imagine what you could do.” 32 pages; grades K-5. 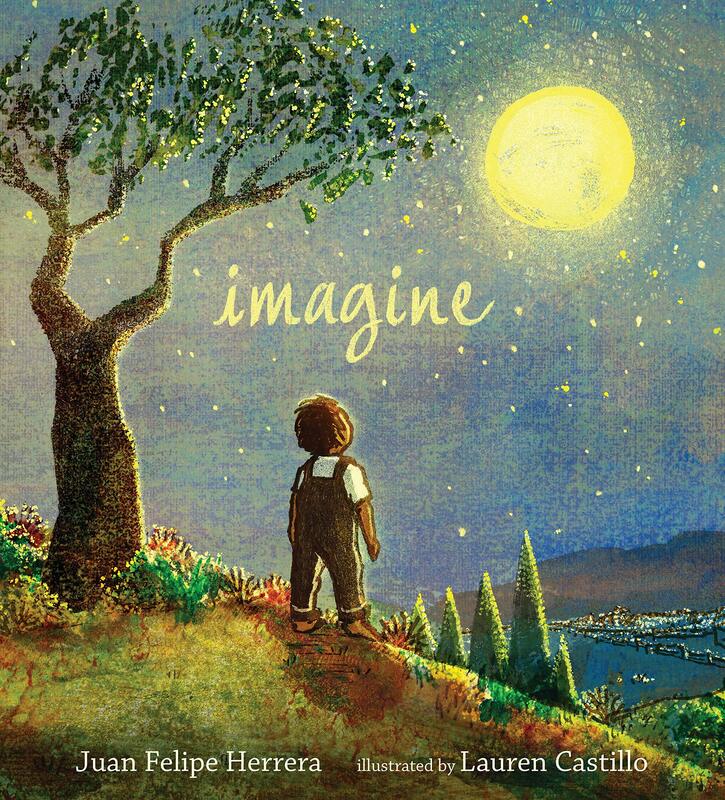 Pros: This picture book-length poem allows Herrera to tell his own amazing story as well as to inspire kids to follow their own dreams. Cons: I almost cried when I got to the end and there was no author’s note or biography to give more information about Herrera.